- the main type of violations related to verbal conflicts becomes "slander," that means understanding of the denotative and significative space, of objective and subjective reality and responsibility for statements that do not refer to the situations of reality, but claim to do so. «Памятники русского права», Выпуск первый. М., 1952г., 304с. «Памятники русского права», Выпуск второй. М., 1953г. 443с. «Памятники русского права», Выпуск третий. М., 1955г. 529с. 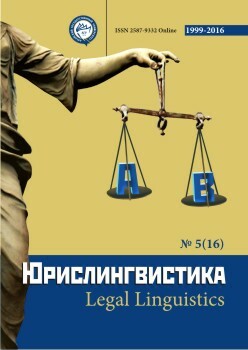 "Monuments of Russian Law", Issue one [«Pamjatniki russkogo prava», Vypusk pervyj]. Moscow, 1952. "Monuments of Russian Law", Issue two [«Pamjatniki russkogo prava», Vypusk vtoroj]. Moscow, 1953. "Monuments of Russian law", Issue three [«Pamjatniki russkogo prava», Vypusk tretij]. Moscow, 1955. 1. Authors retain the copyright to the work and transfer to the journal the right of the first publication along with the work, at the same time licensing it under the terms of the Creative Commons Attribution License, which allows others to distribute this work with the obligatory indication of the authorship of this work and a link to the original publication in this journal . 2. The authors retain the right to enter into separate, additional contractual agreements for the non-exclusive distribution of the version of the work published by this journal (for example, to place it in the university depository or to publish it in a book), with reference to the original publication in this journal. 3. 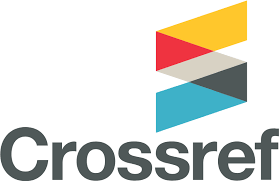 Authors are allowed to post their work on the Internet (for example, in a university repository or on their personal website) before and during the review process of this journal, as this may lead to a productive discussion, as well as more links to this published work (See The Effect of Open Access).